The cast involved with Operation "Watch Tower"
HMAS Canberra Lost at Savo Island 9 August 1942 as Monograph 119. 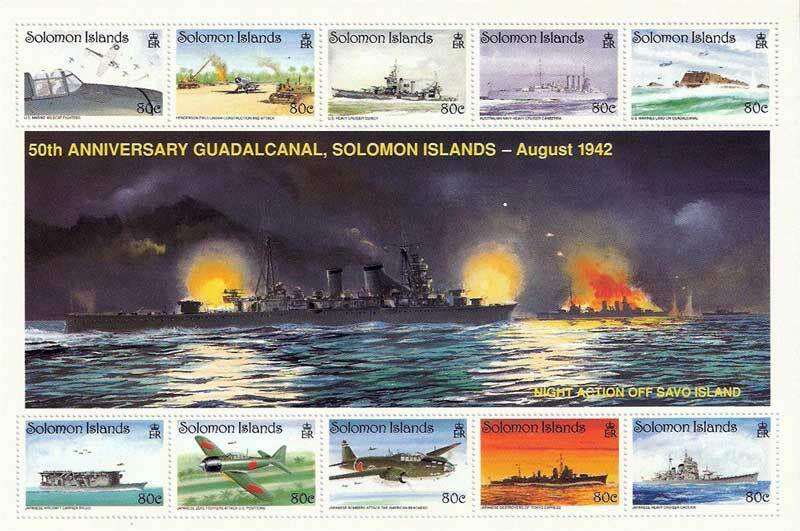 Stamps issued by the Solomon Islands for the 50th. anniversary of the Solomon Landings in August of 1942. One of the stamps depicts HMAS Canberra.